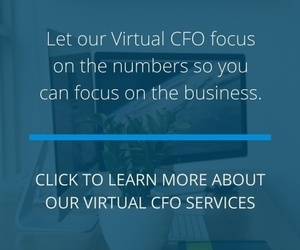 We have an amazing team of CPAs and accountants who provide professional Virtual CFO Services to companies all over the United States. Although we are based out of Indiana (where we originally had a traditional brick-and-mortar location), our team works remotely with (and for) our clients. Read the story about how Summit CPA became a distributed accounting firm. We've built systems that allow us to offer incredible value to our customers, regardless of location. Many of our clients are remote companies as well, and we specialize in working with creative agencies such as website design companies, SaaS, and other technology companies. We help companies maximize profits, minimize taxes, and build personal wealth while offering excellent customer service, professionalism, and responsiveness. As a distributed company, we fully understand the accounting, bookkeeping, cash flow management, and business tax nuances that come with being distributed. Distributed companies face unique challenges like how to handle payroll and taxes for non-U.S. based employees, technology stipends for employees and company mergers and acquisitions. We love helping our clients overcome these challenges through our own experience and expertise, and we pride ourselves on our ability to provide the highest quality financial consulting services all while working remotely! Want to work for Summit CPA? Learn about our remote accounting jobs on our career opportunities page. FlexJobs listed Summit CPA alongside companies like Basecamp, Buffer, GitHub, and Zapier as companies who are "embracing the idea that company culture, effectiveness, and productivity can not only survive, but thrive outside a traditional office environment." Read our listing by Remote.co, which is a resource for all things related to remote work, including a comprehensive list of remote companies, remote job listings and other resources for remote workers. Virtual Vocations listed Summit CPA as one of the top 100 telecommute companies in 2016 along with companies like Salesforce, ToDoIst, and Trello.